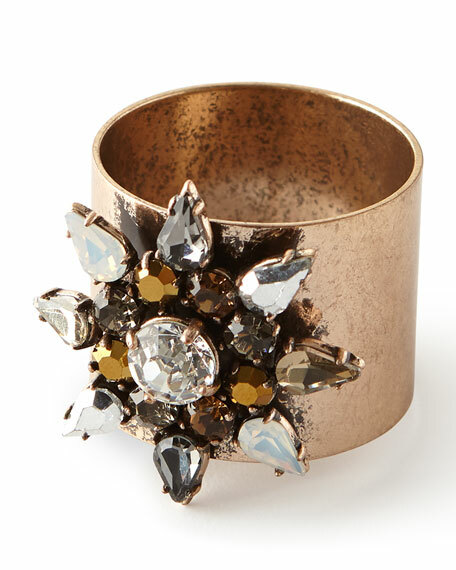 Napkin ring with embellished star. Brass ring, zinc and glass. For in-store inquiries, use sku #2732652.